Working in collaboration with Illuminate The Arts, and Ben Davis, the catalyst behind The Bay Lights project, we created this event identity to help drive support for and celebrate the continuation of The Bay Lights project. Harkening back to another era in its typographic treatment, the mark helped to provide a center of focus for the campaign’s movement. 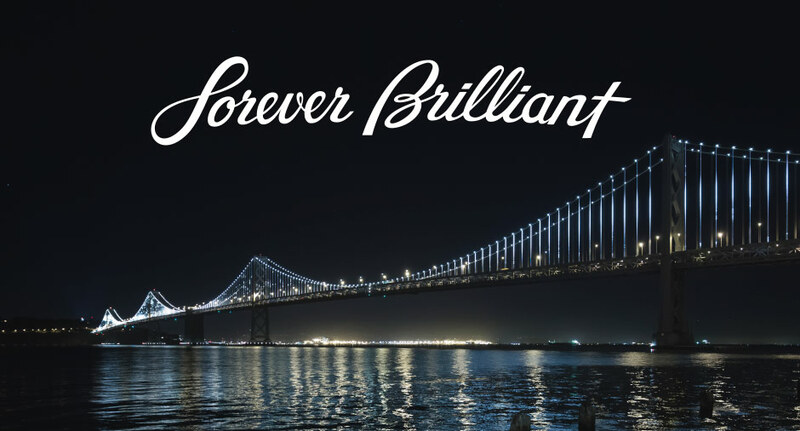 After significant work and fundraising on the part of ITA, we are pleased to say that The Bay Lights will continue on, being relit for next year’s super bowl as a permanent work of public art. 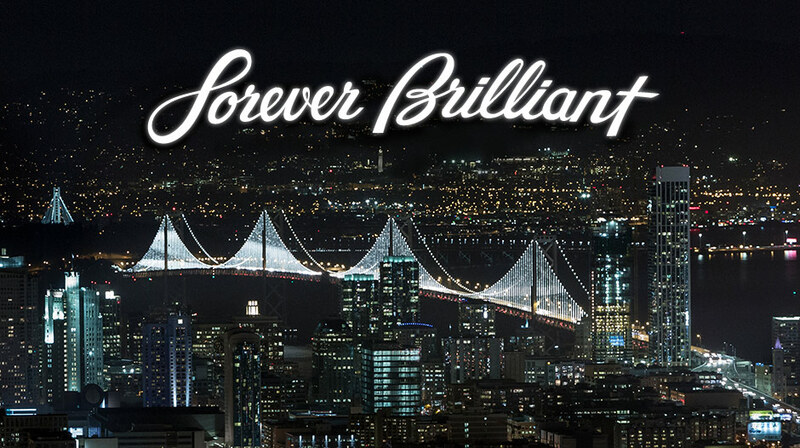 As the largest light sculpture in human history, The Bay Area will again be illuminated by the evening light spectacles, remaining “Forever Brilliant”. 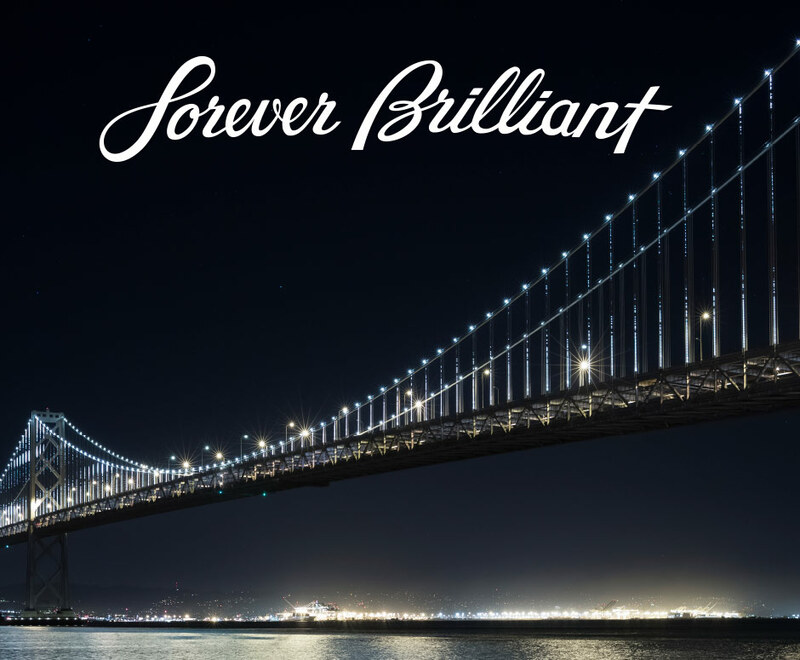 On behalf of The Collective Spark, we would like to extend a huge thank you to the entire team at Illuminate The Arts for their work in pioneering this unique work of public art and their enduring effort to make it a permanent piece of San Francisco and the Bay Area's visual landscape. The animation above is a short rendition of additional design explorations around bringing the logotype into motion. The handwritten feel, composed alongside and above the digitally illuminated bridge created a point and counterpoint between these two extremes, accentuating each other in the process. These, and other explorative studies helped to demonstrate the versatility of the two elements in their pure forms. Client: Illuminate The Arts. Creative: The Invisible Spark in collaboration with Ben Davis, ITA. Bay Lights photography by James Ewing.